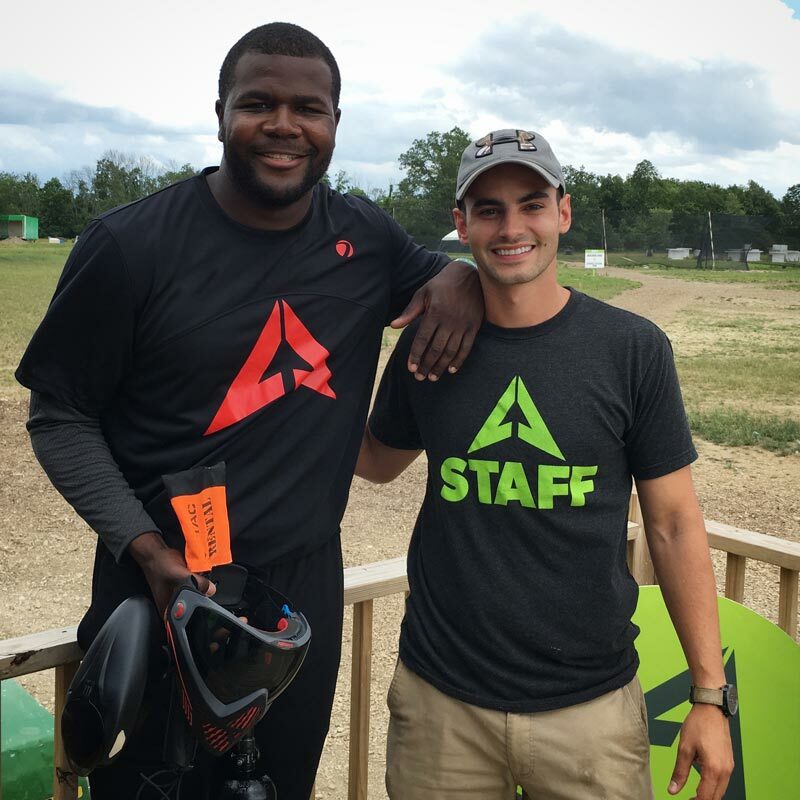 On Sunday June 18th, Mr. 12 Gauge himself, Cardale Jones played paintball at LVL UP Sports Paintball Park. 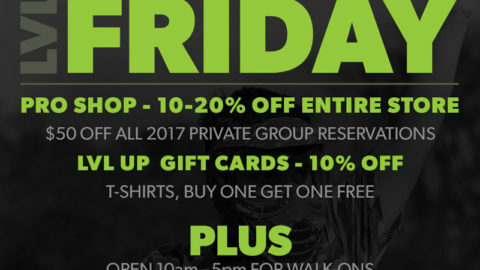 The former The Ohio Sate Buckeye Football Quarterback that helped bring a National Championship to Columbus brought some friends out to LVL UP Sports Paintball Park in Grove City for an epic day of paintball action. 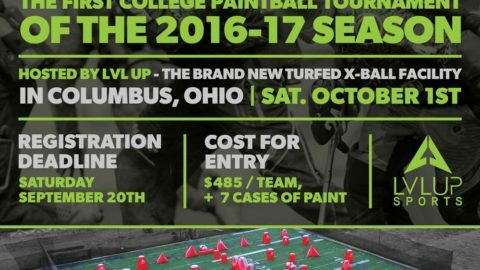 Cardale Jones plays paintball for the first time here at LVL UP Sports Paintball Park. 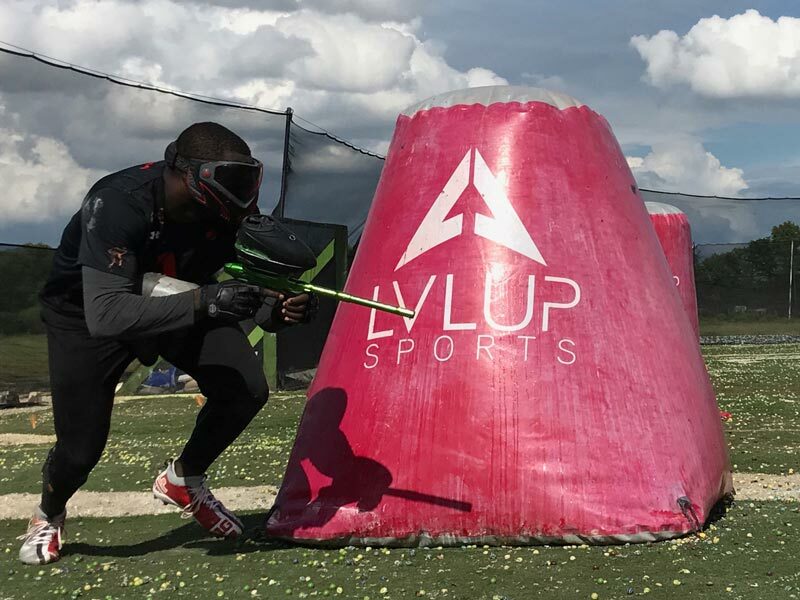 Jones, the 6′ 5″ beast of a football player had never played paintball before coming to LVL UP Sports Paintball Park. He walked in wide-eyed, energized and right away you could tell he was in for an awesome time. After being drafted by the Buffalo Bills, Jones was in town to host some local fundraisers and visit friends and family in Columbus. First stop was at the LVL UP Shooting Range, where we added a brand new blue target just for this occasion. 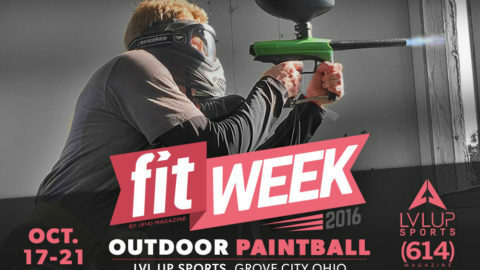 We hooked Cardale up with a $2,000 paintball gun setup ( a DYE M2) and let him go nuts. 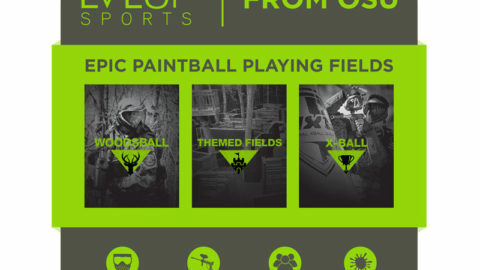 Being such a tall athlete has it’s advantages and disadvantages on the paintball field. 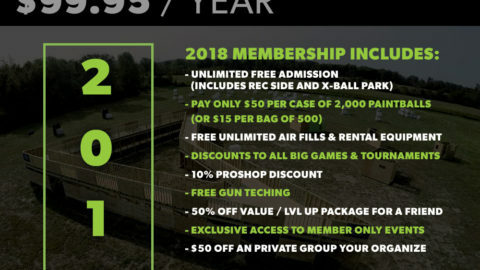 Obviously his speed and height can allow him to shoot over higher objects and get to bunkers faster than others. Jones’ height and massive frame, however, make him a big target. 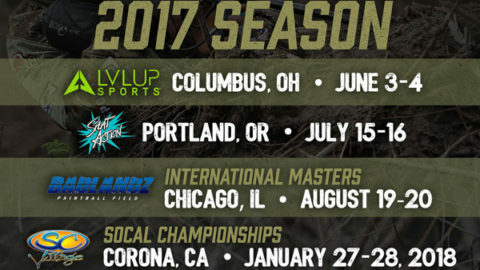 LVL UP Sports Paintball Park has different styles of paintball maps. Some of them are large concept fields (one of them over 250,000 square feet) and others are made for speed and are much smaller. On the larger playing fields, Cardale Jones was having a lot of fun being overly aggressive and blasting his friends, but usually he was one of the first players on his team to get shot. 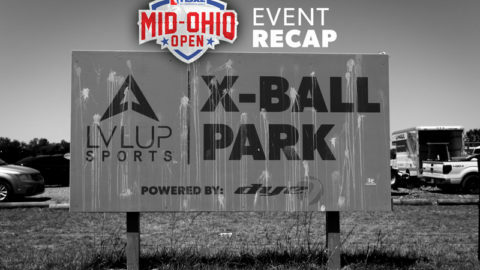 Once gameplay moved over to the more athletic “speedball” fields, known in the paintball community as X-Ball, that’s where Jones’ natural talent and athletic ability kicked in and he was able to be the MVP. 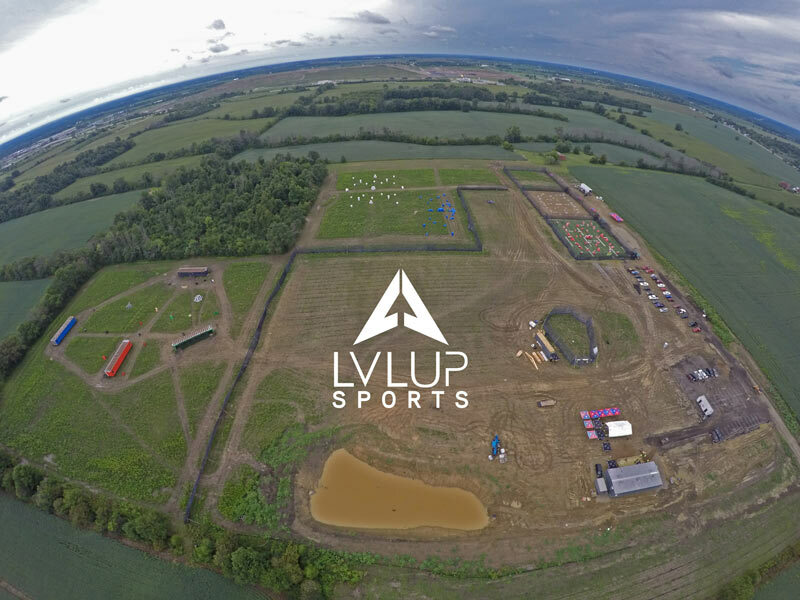 It was an honor to host such a honorable athlete at LVL UP Sports Paintball Park. Cardale Jones is welcome back anytime, an overall great guy with a great attitude towards life. 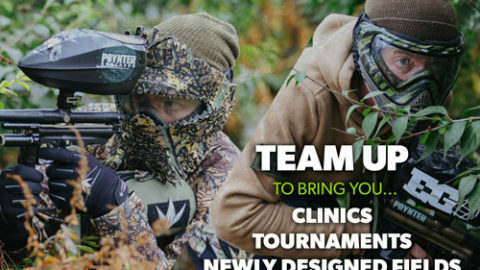 Come back soon 12 gauge!